We can’t for the life of us figure out where these hoards of wasps are coming from! They are in our bedroom and we find them dead and also crawling at times from there. We are dealing with over 50-100 a day. We have two crawl space attics on opposite sides of the room; could there be a nest in there? We have searched inside and out but have not checked in there. My husband has been stung a few times and welts are left so we are somewhat hesitant. If you say there could be nests in there we will check. This is awful. We live in a two story house and it’s older. Never had a wasp problem like this before. No doubt you have wasps targeting your home for winter hibernation. And though there could be some in your small attic spaces, it more likely they are using one of the exterior walls to enter. I say this because if they were getting in the attic, they’d probably stay there. That being said, you’ll need to treat the homes exterior and attic spaces to stop the invasion because once a home gets “scented” as a good place to invade, it will continue to attract wasps for many years to come. The good news they can be stopped using a dust and spray treatment. As you’ll learn in our article, you’ll need to treat with DRIONE DUST. It will kill them on contact and fill all the voids they’re using so it will kill any hidden from view. 1 lb will be enough to treat the average 2500 sq/ft home. 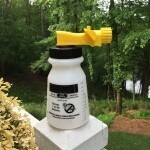 Use a HAND DUSTER or DUSTICK to apply the Drione around the homes exterior. You could climb a ladder to apply it up high but the Dustick will make it so much easier and well worth the investment. And be sure to get all four sides of the home from ground level up to the highest areas you can reach. For the attic spaces, use the 1 lb of Drione for every 800 sq/ft of space. Apply it with a DUSTIN MIZER. This device is manually cranked to blow the dust out and will propel it 25-30 feet no problem. After dusting, let the Drione sit for a day and then spray the exterior of the home with CYPERMETHRIN. 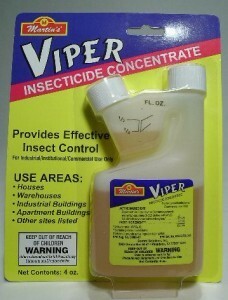 This active is highly repellent to wasps and they’ll avoid surfaces where its been applied. Mix 1 oz per gallon of water and use 1 gallon of mixed material for every 500 sq/ft of surface area. 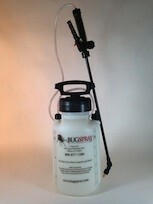 Use a good HOSE END SPRAYER or PUMP SPRAYER to apply the Cypermethrin. Treatments should last 3-4 weeks but if you notice them coming back sooner, retreat where needed. The Drione will last 6-12 months so once the problem is under control, you should treat once a year to make sure they don’t return.